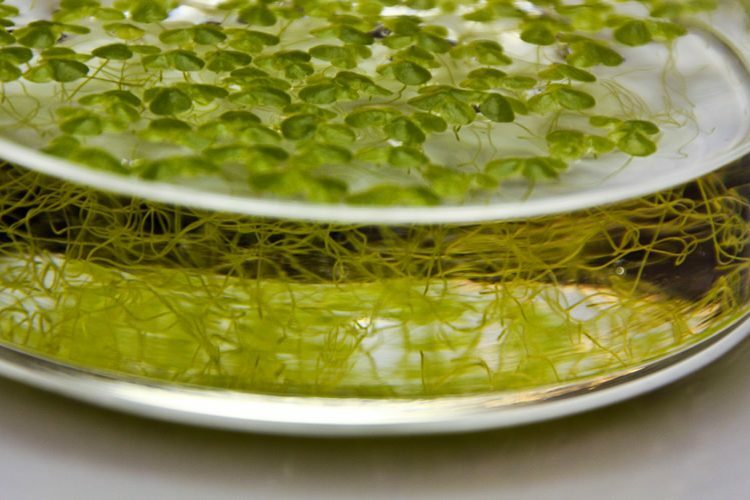 OCSPP 850.4400: Aquatic Plant Toxicity Using Lemna spp. Studies can be designed to assess the inhibitive effect a chemical has on the growth of Lemna sp. Cultures of Lemna are exposed to a range of concentrations of the test item under static or semi-static conditions. The growth of the cultures is assessed by determining the number of fronds at the start of the test then periodically throughout the test duration. Additional measurements such as dry weight, fresh weight or surface area can also be used to determine an effect on the growth. Changes in plant development are recorded at all assessment points e.g. frond size, appearance, indication of necrosis, chlorosis, gibbosity, colony break up or loss of buoyancy and changes in root length or appearance. From these assessments the ECx, LOEC and NOEC can be calculated. Throughout the study samples are taken to verify the concentration of the exposure media at appropriate intervals. The test can be conducted using Lemna gibba (from on-site cultures) or Lemna minor. The test species is maintained under conditions similar to those used for the test period. Cultures used for study purposes are kept at test conditions for a minimum of three weeks prior to use in the study. Full facility records are maintained to meet the requirements of GLP. 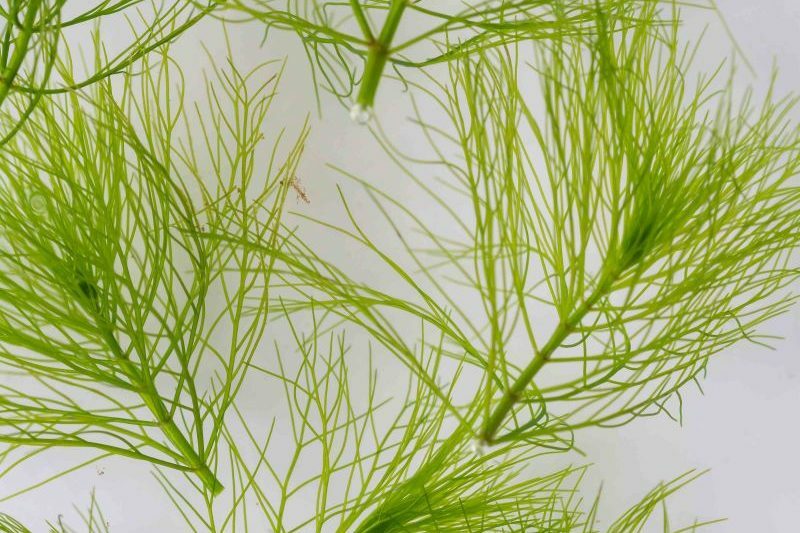 Studies can be conducted to assess the inhibitory effect a chemical has on the vegetative growth of Myriophyllum spicatum. Cultures of M. spicatum are exposed to a range of concentrations of the test item; typically conducted under semi-static conditions although a static design may be employed if it has been previously established that the test item is stable. This can be via the water or sediment phase. The growth of the cultures is assessed by commencing the test with single shoots of the same length, then measuring the main shoot length on day 14 and at one intermediate occasion. Additional measurements including the total shoot length, the increase in fresh and dry weights, root length and number of whorls can be determined. From these assessments the ECx, NOEC and LOEC values can be calculated. The test is conducted using M. spicatum, aseptically cultured in-house following procedures detailed in the testing guideline. The source and confirmed healthy status of the plants is determined prior to starting a study. 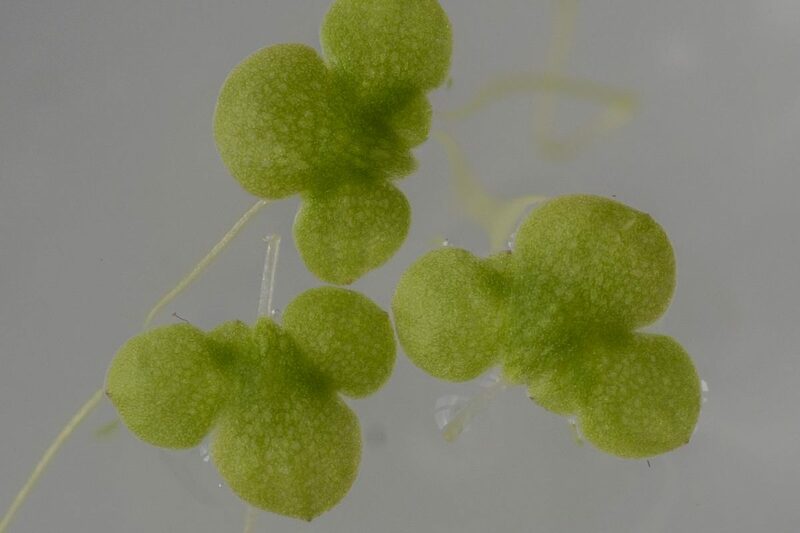 All plants at the start of a study are sections of side shoots taken from in-house cultures, with a single apical meristem at one end and no evidence of rooting, side branch formation or disease (such as deformation, chlorosis or necrosis). The concentrations of the test item solutions is determined at the beginning and end of the test period and at each medium renewal.